What is a flotation tire? If you've ever had an off-road adventure that concluded with an immobilized, partially sunken vehicle and sediment up to the doorsills, then you'll immediately recognize the merit and purpose of a flotation tire. Unlike standard 4x4 and truck/SUV tires that emphasize tread characteristics for traction, flotation tires are specifically designed to "float" over sandy surfaces and loose sediment. Flotation tires are perhaps most commonly known in the farm and agricultural industries, where the ability to float over loose dirt is a must. In addition to keeping farm vehicles above ground, flotation tires minimize soil disturbance in agricultural environments, as compared to other types of tires that would dig in and damage the soil. Flotation technology has made its way into off-road and all-terrain tires for trucks and SUVs as well. Flotation tires often have a particularly wide footprint, which can be maximized by running with lowered tire pressure and expanding the (very durable and reinforced) tire sidewalls. 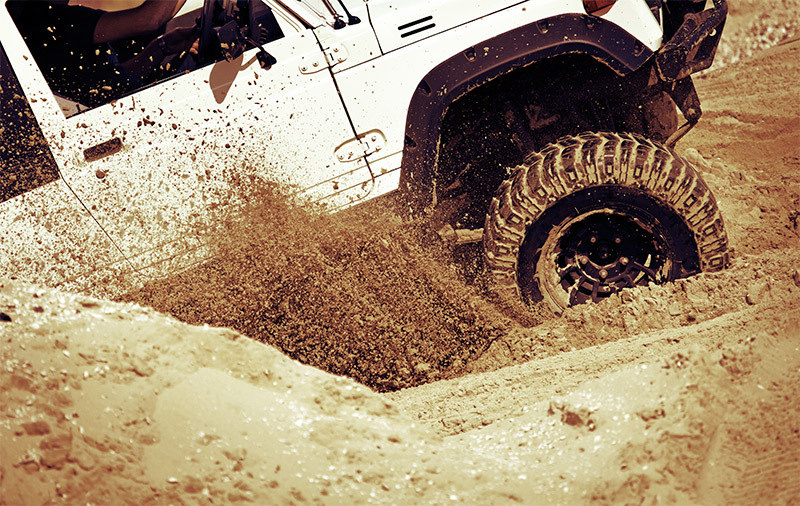 Rather than digging and clawing through the terrain like certain types of off-road tires, flotation tires conquer difficult loose terrain primarily by expanding the tire’s contact patch and “floating” on top of the surface. The following tires are available in a variety of flotation tire sizes, from 15 - 24 inches in diameter, 9.50 - 15.50 inches wide, and ply ratings from 6 - 12. How do tire warranties work? Everything you need to know about tire mileage warranties, including how to keep yours in force. In an effort to demystify the world of tires, with its confusing terminology, technology, and "tirespeak," we present the TireBuyer Tire Glossary. Find out exactly what your local tire professional is doing when they're putting new tires on your car.